That’s the word Missouri State Auditor Nicole Galloway used over and over to describe her office’s findings after an audit into the state’s 205 Transportation Development Districts. Galloway, a Democrat, is calling on legislators to overhaul state law regarding Transportation Development Districts or TDDs. The Missouri General Assembly first passed a law in 1990 to allow the creation of the districts, which can charge sales taxes for the construction or maintenance of transportation projects. But while the law requires at least 50 percent of residents to file a petition with the Circuit Court to set up a district, TDDs often have no residents within their borders. Instead, the property owner or developer can file that petition or the local transportation authority. The auditor’s report found 94 percent of TDDs in Missouri were formed by a property owner or developer and none by a petition of registered voters. Galloway says that has caused a situation rife with conflicts of interest. There are 116 TDDs in the St. Louis region, according to a 2016 updated report on tax incentives by the East-West Council of Governments. “So you will have a developer that will form a TDD. They will elect a board for the TDD. They’ll impose a sales tax on citizens without a vote. Then they will go out to bid for construction contracts. Well, guess who’s getting the bids?” Galloway asked. A survey sent out to TDDs found $941 million are owed in project costs, but that amount is likely low, according to Galloway. Only 60 percent of TDDs submitted the financial disclosure documents requested by the auditor’s office. In 2015 Missourians paid $73 million in sales taxes within TDDs. The districts brought in $15 million in non-sales tax revenue, such as property taxes, special assessments, or tolls and fees. And while state law requires businesses within TDDs to post at the cash register that a sales tax is being charged, the auditor’s report found many fail to do so. The audit looked broadly at TDDs across the state, but delved more closely into 12, including one in St. Louis. It found the St. Louis Convention Center TDD was formed in 2010 with a plan to charge a sales tax for 13 years. In 2014, the district board, controlled by the property owners, voted to extend the sales tax to 40 years. Galloway pointed to municipal elections held this month, where voters in several districts were asked to sales taxes could be increased. “Why would they be able to vote on those sales taxes but not the sales tax charged in TDDs?” she asked. The state auditor pushed for legislation passed last year that toughens penalties for Transportation Development Districts that fail to file reports. Now, she said, she will send her office’s recent audit to lawmakers and push for an overhaul. The city of Pine Lawn is still struggling to properly manage its municipal court. Nicole Galloway, auditor for the state of Missouri, released the follow-up review on Monday. An previous audit, from June, gave the Pine Lawn court a "poor" rating, which triggered the need for a second look. "Municipal courts have an obligation to conduct themselves with fairness. This court has a long way to go to meet the standards that any citizen should have of a local government," Galloway said. 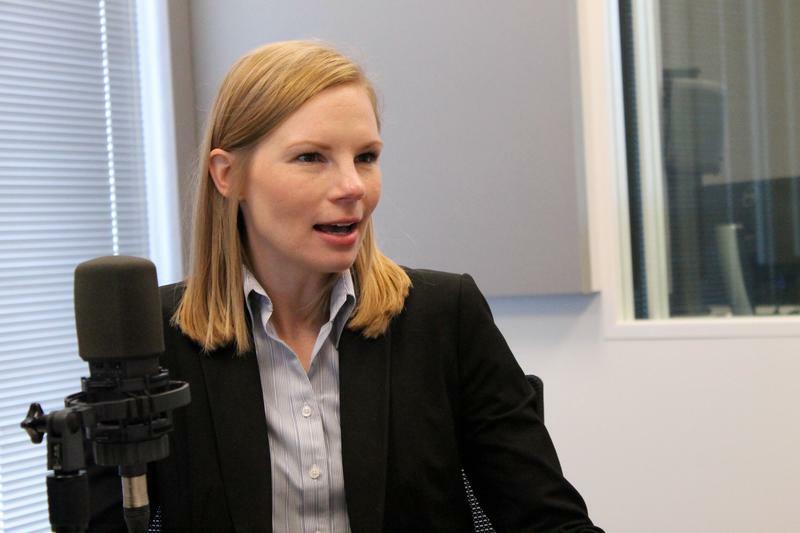 Missouri State Auditor Nicole Galloway announced Tuesday that her office will audit two Community Improvement Districts in the St. Louis region. Those include the BaratHaven Community Improvement District in St. Charles County and the North Oaks Plaza Shopping Center in north St. Louis County. Of the $8.4 billion in federal money Missouri saw last fiscal year, a small portion of that was spent in a questionable fashion, Auditor Nicole Galloway said Tuesday. Her audit focused mostly on oversights concerning Medicaid and child care programs through the Department of Mental Health and the Department of Social Services.